Brushing your teeth seems very simple at first glance. Fortunately, it is a simple process that can help you attain and maintain exceptional oral health. 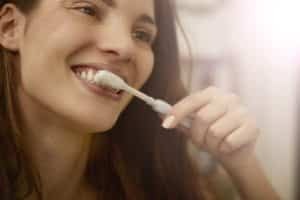 However, when you’re feeling a little fuzzy on the guidelines and exactly what you should be doing, making it through a successful and relaxing dental hygiene session can feel exhausting instead of empowering. Not to fear: We are here to explain the good, the bad, and to provide some additional helpful tips. Don’t forget that it’s normal to have questions about your smile and dental hygiene as you go along, so ask us! Even if it’s something you used to know or think is obvious. Of course, also keep in mind that you may use a manual or electric brush (it’s up to you). If you have questions about dental hygiene or otherwise, remember that your checkups are a wonderful time to bring them up! Coming in as soon as possible if your teeth feel loose can help save your smile from serious problems. Get the information and treatment you need in Celina, TX by contacting Celina Family Dentistry to schedule a visit today at (214) 851-0130.